A large part of my job as a property manager is to screen tenants. Several years ago when I first started, I managed all of the screening on my own, but as the business grew, it simply got to be too much for me to handle. Now we use a third party company that processes tenant background checks. It helps save me a lot of time, but there are disadvantages too. 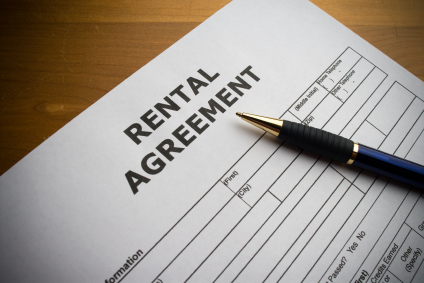 You should consider both the pros and cons before you hire a tenant screening company to help you manage your rental properties. Personally for me the biggest advantage to using a tenant screening service is the simplicity. When I used to screen tenants myself I would spend almost an entire work day calling previous landlords, pulling credit reports, and hunting down public records. Now, most of screening service companies exist online, so all I have to do is visit a website, plug in the tenant’s information using their application, and wait for a response. Over the course of two years, I’ve worked with three different tenant screening service companies and they all had one thing in common, quick response times. On average, I receive a background report on a prospective tenant within four hours. That way, I can know whether or not the tenant is approved quickly and start the lease process. I’m human and that means I sometimes make mistakes. When I screen a tenant myself, there is a risk that I’ll miss something in the tenant’s background. Tenant screening companies use computer software to gather the tenant’s information and compile a report, so there is little room for error. The biggest disadvantage to a tenant screening service is the cost. Typically, you have two payment options. One, you can pay a fee each time you use the service which can get costly. Two, you can sign a contract with the company and pay a monthly fee. While signing a contract will often get you a discount with the company, both options will cost money and take away from your rental income. Most screening service companies give you a report and a grade on every potential tenant. I’ve found that these grades can be an incomplete picture and lead some of the landlords I work with to deny a renter that would have made a great tenant. Since the system is automatic, it is not perfect and you will still need to do some of your own research to make the best decision.